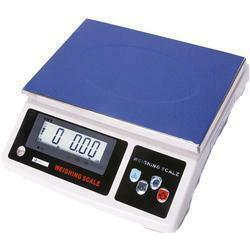 PS-WS30K weighing scale has a large platform (12.5in x 9.5in). It can be used in lots of applications. It has 5 weighing units: lb / oz / lb+oz / g / kg. It can also be used as a counting scale. 12.5" x 9.5" 12.5" x 9.5" 12.5" x 9.5" 12.5" x 9.5"